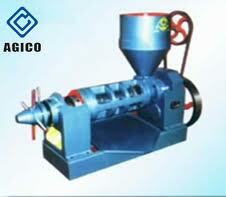 Oil Press Machines | Manufactures and supplies of oil press machines, mini oil expeller and palm oil press machine . Groundnut/Peanut oil has been used as cooking oil for a long history. The modern groundnut oil processing machine developed by ABC Machinery combines the traditional technology and modern technology reasonably. With high oil yield and high production efficiency, it is an advanced oil production equipment for groundnut oil processing plant. The ancient method of squeezing groundnut oil is very strict on raw materials. Raw material is the basis of groundnut oil. In the ancient method, groundnut is pressed with fresh peanuts, crushed, steamed, Fried, pressed and cold stored. Every process is strictly checked to ensure every detail, but the oil yield is relatively low. Because the utilization rate of raw materials is relatively low, the ancient method of squeezing has gradually put forward the stage of history, modern groundnut oil extraction machine emerged at the historic moment, the groundnut oil extractor provided by ABC Machinery combines the ancient method of pressing technology and modern technology, conforms to the needs of the times, the production of edible oil quality is high, healthy, suitable for people’s living needs. Cleaning: the impurity rate shall not be more than 0.1%. Shell stripping and separation: the kernel content of the shell is not more than 0.5%, and the kernel content of the shell is not more than 1%. Drying: temperature: 95-100, time: 60-90 min, moisture: 4-5%. Peeling: the peeling rate is 90%. Billet rolling: the thickness is less than 0.5mm. Steam and fry: 5-7% water, 110-115 temperature. 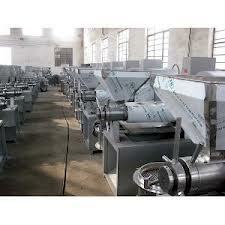 Pressing: the primary crushing rate is 76-78%, and the secondary crushing rate is 12-14%. 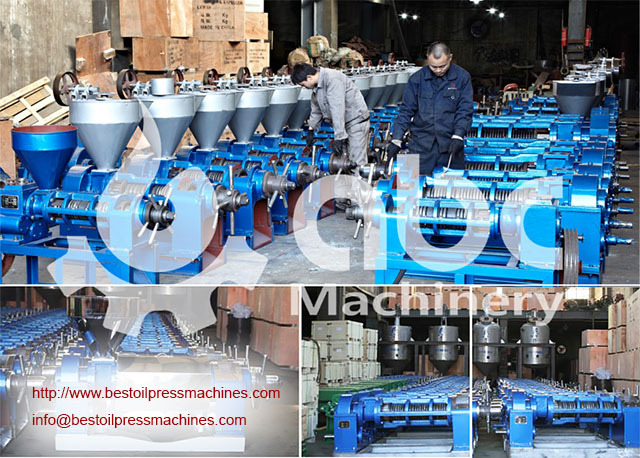 ABC Machinery is a professional manufacturer of vegetable oil pressing and edible oil refining plant, with strong technical force, complete manufacturing process, independent research and development capability. 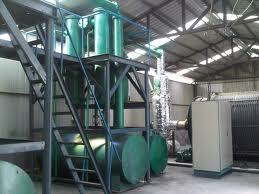 How can one Make use of Palm Oil Mill Effluent (POME)? 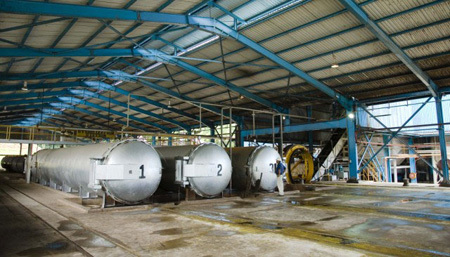 Palm Oil Mill Effluent (POME) means highly polluting waste-water which is usually discarded in disposal ponds, leading to the leaching of contaminants that pollute the groundwater and soil, and in the discharge of methane gas into the atmosphere, is from Palm Oil processing. POME is an oily wastewater generated by palm oil processing mills and contains various suspended components. This liquid waste mixed with the wastes from steriliser condensate and cooling water is called palm oil mill effluent (POME). On average, a standard palm oil mill generate about 1 tonne of liquid waste with biochemical oxygen demand (BOD) 27 kg, chemical oxygen demand (COD) 62 kg, suspended solids (SS) 35 kg and oil and grease 6 kg for each and every ton of FFB (fresh fruit bunches) processed. You can find very high Biochemical Oxygen Demand (BOD) and Chemical Oxygen Demand (COD), which is 100 times over the municipal sewage in POME. As no chemical is added during the oil extraction process POME is a non-toxic waste, but because of organic and nutrient contents, it will pose environmental issues due to large oxygen depleting capability in aquatic system. The high organic matter is due to the presence of different sugars for example arabinose, xylose, glucose, galactose and manose. The oil-bearing cellulosic materials from the fruits are the main suspended solids in the POME. Since the POME is non-toxic as no chemical is added in the oil extraction process, it is a good source of nutrients for microorganisms. At this point, it is a new approach in managing POME to recover the renewable organic-based product. The technology is aimed to recover by-products for example volatile fatty acid, biogas and poly-hydroxyalkanoates to promote sustainability of the palm oil industry. Furthermore, it is envisaged that POME could be sustainably reused as a fermentation substrate in production of numerous metabolites through biotechnological advances. In addition, POME involves high organic acids and is suitable to be used as a carbon source. 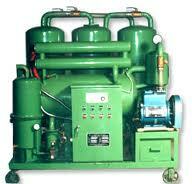 Oil filtration machine is used for the purification of insulating fluids. 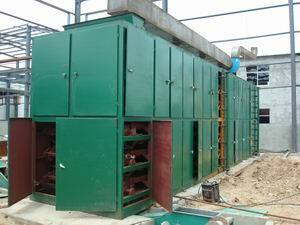 This machine is largely used in power station or any other factories that requires occasional insulation oil processing. The machine works depending with the voltage power pressure that its engine can handle. There are different brands of this kind of machine. All are set to do the same filtering work but are manufactured by different companies. One of the companies that manufacture this machine is Fowler Westrup Company. Their machine delivers a higher performance and is made of material that makes it durable. It is made of good shedding water mechanism and is able to lessen additives. Their machines also have less frothing inclination. The con of their machinery is that it uses a very expensive artificial base oil to be able to accommodate higher temperatures and pressure. Another manufacturer of an Oil filtration machine to look out for is the Liasotech Oil Machinery Manufacturer. They are known for manufacturing big machines for the big oil refineries. Their price is ok and their machine is made up of quality material with a good level of production performance. The heat they produce acts as a lubricant so no foreign substance is added in the processing stages that can alter with the quality of the final product. Even with this, it has its setbacks. Their machines occupies large spaces and cannot be accommodated by small-scale industries also their level of maintenance to be very expensive. Their running oil gets hot quickly and this affects their engines. 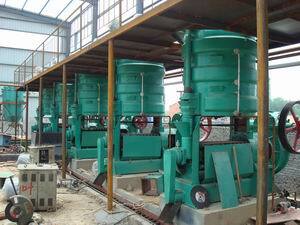 Chongqing NAKIN Electromechanical Co., LTD is another leading company in the manufacturing of oil filtration machine. The company has high reputation in making machines of advanced technology and of good quality. They have developed even to overseas markets. The machines are good but they tend to loss their firm strength after some duration of time. Their parts also suffer from corrosion and this leads to reduction of performance power.